The holidays have a remarkable way of sneaking up on me each year,and all those lofty goals of baking, crafting and general merry-making often go unactualized. That's why I thought it would be fun (and mutually beneficial for readers like me!) to launch a homemade holiday series consisting of a DIY gift idea each week to get your yule-tide juices flowing (so to speak). First up? 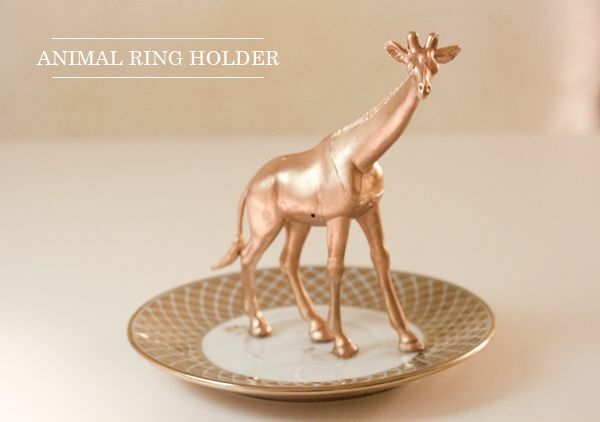 The Animal ring holder. I love giving loved ones jewelry, but it never dawned on me before that a playful jewelry holder could be just the ticket to up the ante when gifting baubles. So off to the dollar store I went to pick up some plastic animals to make this simple, yet impactful gift idea. 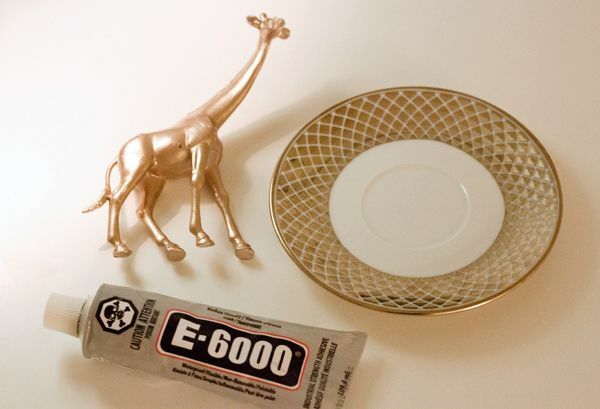 Simply spray paint your animal any colour you wish, and adhere it to a pretty plate (mine came from Home Sense) using powerful glue... It's as easy as that! Top things off with a pretty ring or some sparkly earrings, and your friends are sure to love you all the more this holiday season! 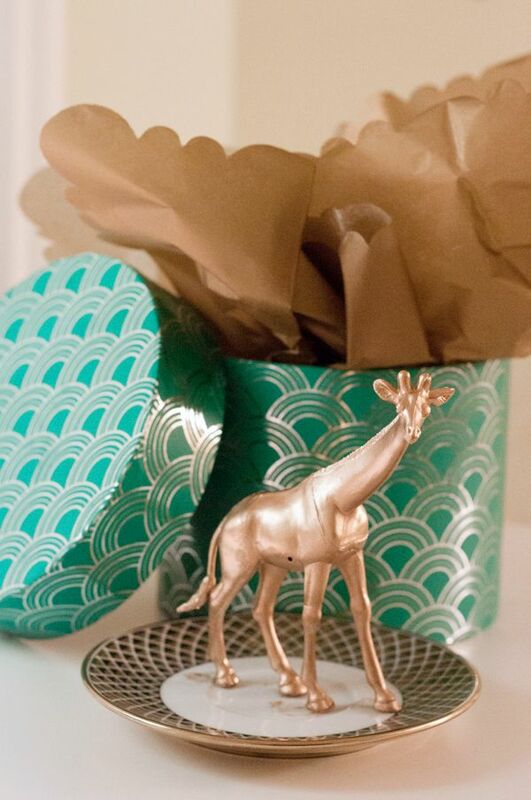 This is such a fun, easy, DIY gift. Love it! This is a really great and fun DIY! Fun and easy to do! Wondering if my brother still has that trunk full of plastic animals! This is so pretty. I also planning this for a gift and my blog. I just love the idea. What an adorable idea! 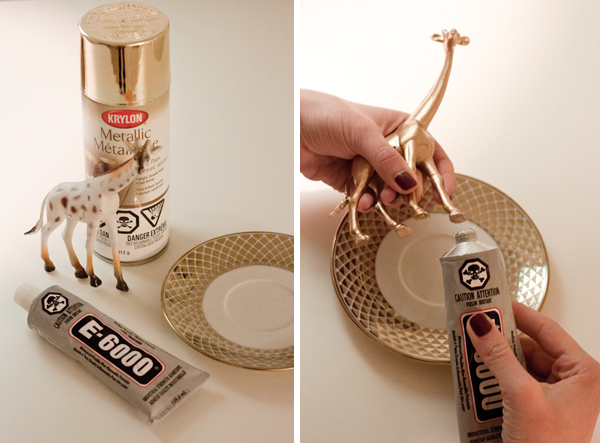 I've seen a lot of crafts using spray painted plastic animals lately, and this is a very creative twist.